Last weekend, The Devenish Complex (Finaghy Road North, Belfast) held their first annual Wedding Fayre. Fear not if you missed it the team have kept their Island function suite set up beautifully for the perfect wedding. So pop your head in and have a chat with their wonderful staff. If you did however visit the Fayre, you will have seen an amazing array of exhibitors showing their wonderful wedding wares as well as how beautifully The Devenish can make your wedding day, all under one roof. 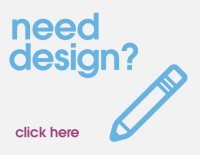 Prior to the event, we worked very closely with designer Niall McKenna (http://niallmckenna.co.uk) to bring to life his concept and ideas to life over a variety of marketing opportunities. Its always a pleasure working with Niall, as not only is his design flawless, but his campaigns are well thought out and understandable for all parties. We took Niall's design and printed a 15ft x 8ft mesh banner to go on the side of a trailer that was placed all around South Belfast for a period before the Wedding Fayre. As you can see below, it looked amazing and definitely promoted the event extremely well in the offline world. Niall also spoke to me about creating a bespoke sales presenter for the attendees of the wedding fayre. When Niall says bespoke, he means it. We discussed paper options and finishes at great length and came up with a final product that was quite frankly, outstanding. Picture this! GF Smith Strathmore Pastelle Natural white paper, coupled with a beautiful copper foil print and embellished with a swirling flourish emboss. The paper was then forme cut to make an interlocking folder. 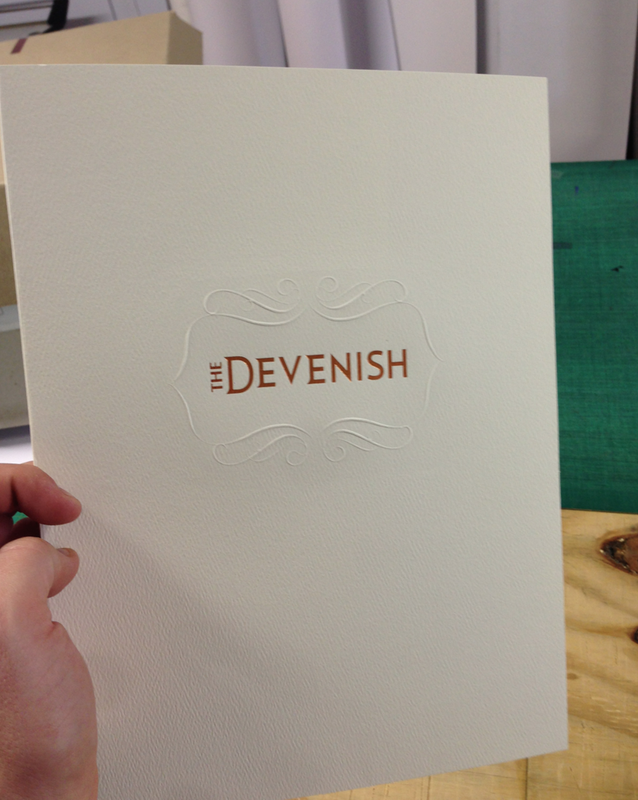 The finish, beautiful and 100% bespoke printing for The Devenish. It was a great project to complete and one we will be looking to expand on through follow up marketing using flyer printing.